All of us are required to face the program of getting something deleted accidentally from our iOS device either sooner or later. However, this issue has been somewhat mitigated by the introduction of Leawo iOS Data Recovery application. Although it provides us with certain facilities including restoring, previewing and also recovering lost information, the application comes with several glitches as well. It recovers limited types of data as compared to similar other applications on the market and the trial version has its own limitations. 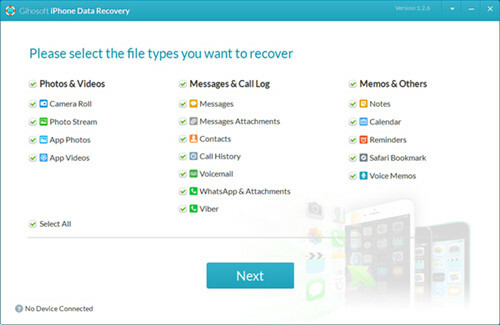 Below, we have mentioned several apps which can be appropriate alternatives to Leawo iOS Data Recovery. Being one of the most competent Leawo iOS data recovery alternatives on the market, the breathtaking Joyoshare iPhone Data Recovery will make the task of recovering data very simple. The application will allow you to review images, videos, as well as audios instantaneously and will likewise enable you to recover as many as 20 data file types from various data loss scenarios like iOS update, lost device, forgotten password, broken screen, virus attacks, and so on. On top of this, it will likewise help you to fix minor bugs apart from supporting the export of files in .csv format. You can easily get back any missing data from iOS devices, iCloud backup, or iTunes backup safely and quickly. 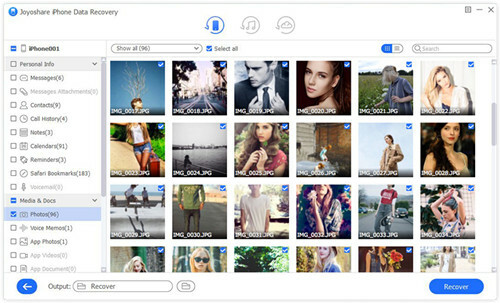 This outstanding Leawo iOS Data Recovery alternative will enable you to recover any lost or deleted file on iOS devices. It has the ability to run on PCs as well as Macs and also restore files on iTunes apart from the iOS devices. 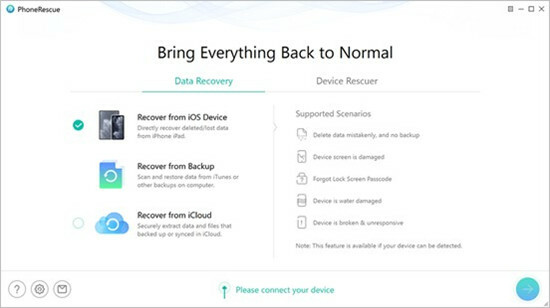 iMobie PhoneRescue will be able to recover as many as 22 file types of files including SMS, call log, contacts, reminders, notes, photos, videos, music, playlists, and so on. Besides, it will also be possible for the user to restore information from their Apple devices and transport it to a PC. 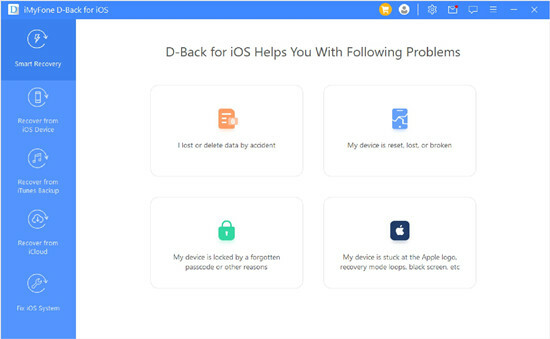 iMyFone D-Back is one of the best alternatives to Leawo iOS Data Recovery which will enable the user to restore a file that has been deleted accidentally from iPad, iPhone, or iPod. The software functions in a simple way and it is possible for the user to select exactly what file types he wants to get back. 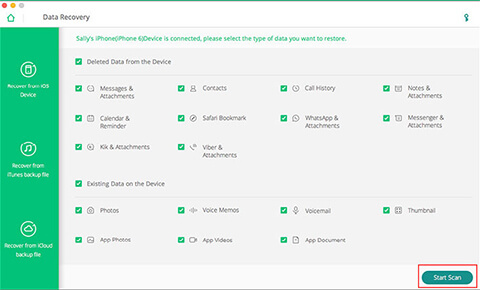 This remarkable data recovery tool will allow the user to recover videos, photographs, text messages, calendar appointments, bookmarks, notes, call history, as well as contacts, not to mention WhatsApp. This cutting-edge iPhone data recovery tool will allow the user to recover iPhone photos, messages, contacts, and more with only a few clicks. Moreover, this solution will offer you the facility of previewing the files so that it is possible for you to get information displayed along with their names as well as file structures. The innovative iSkysoft iPhone Data Recovery works with Windows 8 and the most significant thing is that you can stop the scanning process whenever you want or even save the entire scan report as well. Another good alternative to Leawo iOS Data Recovery mentioned here is EaseUS MobiSaver iPhone Data Recovery. This tool can be useful to you in case you’d like to save information from your iPad or iPhone. 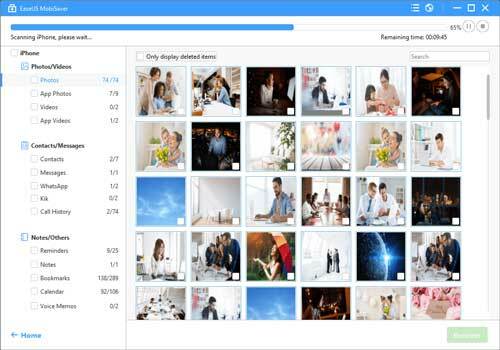 It is recommended for anyone who would like to restore videos, photos, contacts, notes, or bookmarks in case those have been either lost or deleted by accident. Being a freeware, the facilities offered by this application are somewhat limited. It is possible to restore only 5 contacts at a time and the files need to be selected one by one as well. However, it is feasible to upgrade by shelling out $69.95 which will help to accelerate its functioning, unlike the free version. Being one of the most outstanding Leawo iOS data recovery alternatives out there, this utility which is intended for Windows as well as Mac will allow you to recover any missing iPad, iPhone, plus iPod data with 100% precision. The free version of this app is capable of retrieving lost data from any iOS device, or from iCloud as well as iTunes backup as well; however, it is feasible to get back only certain lost file types including calendars, voice memos, Safari bookmarks, voicemail, notes, reminders, and so forth. Several essential file data such as call logs, contacts and messages can only be retrieved while using the paid version. There you have the 6 most competitive Leawo iOS Data Recovery alternatives on the market at present. The majority of them are quite affordable and will likewise offer almost the same features as that of the Leawo iOS Data Recovery software. As a matter of fact, some applications like Joyoshare iPhone Data Recovery have become even more popular than Leawo iOS Data Recovery app at present. Try out the free trial version and you will soon find out why. Recover Messages from iPhone? Solved!